Jaegers 82mm f/13 Cemented Achromatic Doublet Surplus Shed Sold! I purchased this objective from Surplus Shed a few years back thinking I would make a refractor. Never got around to it, and I doubt I will as I've moved on to some other projects. It's a 83mm diameter, f/12 objective. 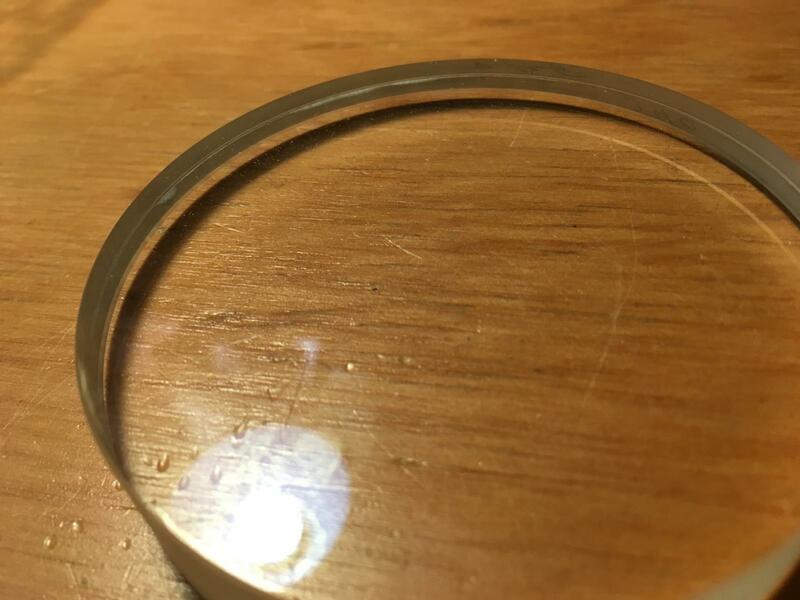 It's coated, but the coating has some speckling to it - I can't capture it with the camera, it's not scratches but probably where the coating bonded with the lens cloth that it was wrapped in for the last 40ish years. 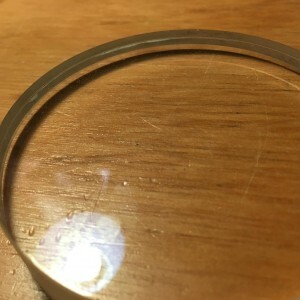 One small edge chip that is indicated in photos, it's about 6mm long by .5mm wide - it will not impede performance and be hidden inside whatever cell you put it in. 409 is written on the side, the Surplus Shed part number was L10606J. Payment via PayPal preferred, but I will accept mailed checks. Shipping will likely be $7.00, fair offers will be considered.